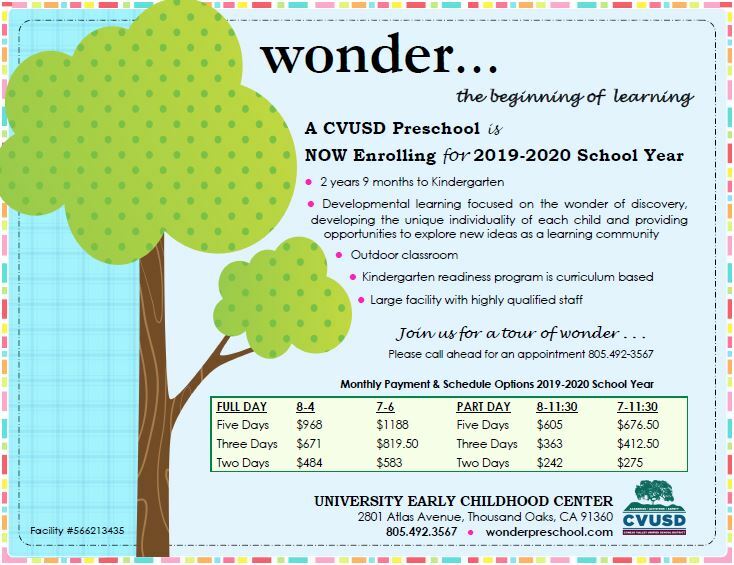 Open registration for Wonder Preschool 2019-2020 school year open now! Only hard-copy application forms can be submitted at the Wonder Preschool office during regular business hours, 7:30 am - 4:00 pm, Monday - Friday. ​Wonder Preschool is committed to ensuring that all materials on this web site are accessible to students, staff, and the general public. If you experience difficulty with the accessibility of any web pages or documents, please request materials in an alternate format by contacting our office at cvusdcc@conejousd.org or at (805) 492-3567.